Mastercard and other major credit cards are the most popular way for people to deposit and withdraw money from their online casino accounts, and for good reason. Credit cards like Mastercard are fast, convenient, safe to use and when you use them to deposit money, you can usually access the funds right away. Another great reason to use Mastercard to get money into your online casino account is security. Using a credit card puts an extra layer of safety between your bank accounts and the online casino. If your card information is compromised and someone uses it to make fraudulent purchases, Mastercard will cover the losses. Also, in the UK there’s a regulation that protects purchases between £100 and £30,000 when they’re made on a credit card. If the business goes bankrupt or doesn’t deliver the product they promised, the customer will be reimbursed. Keep reading for more information on why Mastercard is one of the most widely used banking methods for fast and safe online gambling transactions and why you may want to use it to move money to and from your online casino account. Funding your online casino account using a Mastercard credit card couldn’t be easier. Just go to the cashier in your online casino’s lobby and choose Mastercard as your deposit method. Enter your card and personal information and if the payment is successful, the money will be in your account and ready to play with instantly. Some banks in the UK don’t allow online casino transactions, however. The easiest way to find out if your card allows internet gambling payments is to try a deposit and see if it works. You can also contact your bank or credit card provider to get more information on your specific card. Another thing to remember is that some Mastercard credit cards attach extra one-time charges to online gambling deposits. A lot of cards treat internet gambling payments the same way as cash advances which means there might be an extra fee when you make the transaction, and you start paying interest on the charge immediately compared to regular purchases that usually give you an interest-free grace period. Sometimes the online casino will also have a fee for depositing using Mastercard so check out the details at your specific casino. Most people are willing to pay a little extra in exchange for the convenience and security offered by credit card deposits but make sure to do the research and choose the option that best fits your needs and your budget. Similar to Visa, Mastercard used to offer withdrawals as well as deposits but that’s changed at most major online casinos. Due to new regulations, online casinos are no longer able to use Mastercard to move money out of your online casino account, even if you made your original deposit using Mastercard. If that’s the case at your online casino, don’t worry. There are tonnes of other safe and convenient options for withdrawing money from your account. Some of the most popular include e-wallets and payment processors like Neteller, Paypal and Skrill, or more traditional banking methods like wire transfers or having a physical cheque mailed to you. Go to your online casino’s website and look for a section detailing their accepted withdrawal methods. If you can’t find the information you need, reach out to a casino customer support representative using live chat, email or phone. Since you’ll be using a different banking method to withdraw than you used to deposit, expect to be asked for additional information by the casino’s security deposit to verify your identity and banking information. This might take a bit of extra time and effort but it’s for your own good since you don’t anyone else being able to withdraw your money. If you find out that your Mastercard credit card doesn’t allow payments to online gambling sites, don’t worry. There are lots of other great options that will let you get money into your online casino account quickly and safely. One great way is to use a prepaid debit card. Mastercard offers a prepaid debit card called Maestro Prepaid and it’s really easy to use. Prepaid debit cards are exactly what they sound like. Unlike a credit card where you make purchases and then pay them off later, prepaid debit cards are loaded with funds when you buy the card and then used to make purchases or online transactions. Deposits using prepaid debit cards are usually instant, which means you’ll have the money to play with right away, and they usually don’t come with the same fees or interest that you’ll be paying when you use credit cards. Another great benefit is that you can use the same card to make withdrawals and then spend the money anywhere you want. Prepaid debit cards can also be useful for some people because they can help moderate the amount of money you’re able to put on your online casino account. With a credit card it’s easy to make deposits with money you don’t have but with prepaid debit cards you have to spend the money up front, making it way less likely that you’ll go over budget. 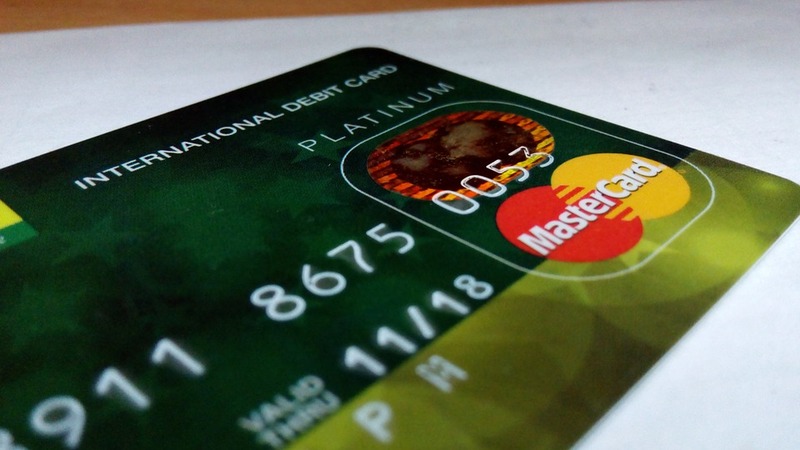 As we’ve said, gambling online using Mastercard is convenient and secure but for some people, Mastercard’s advantages can actually cause problems. Since gambling online with credit cards allows you to make fast deposits on credit, if you get carried away it can add up quickly. Some people might not be able to pay their credit card bill or, even worse, they might see it as an opportunity to make money when they’re broke. It’s always a bad idea to gamble with money you don’t have or can’t afford to lose. Gambling should be a fun, recreational activity and the last thing you want to do is run up a debt by playing casino games online. The easiest way to tell if you’re at risk of developing a gambling problem is if you still feel the urge to make bets, even if doing so will have a negative impact on you or those around you. If you’re worried about your gambling behaviour there are lots of resources that can help. Check out our comprehensive section on responsible gambling to learn some of the signs of compulsive gambling and what to do if you think you or someone close to you has a problem. Just like Visa, Mastercard originated in California in the 1960s. The first banks to introduce it were the United California Bank, Wells Fargo, Crocker National Bank and the Union Bank of California. In 1996, these four institutions formed what was then called the Interbank Card Association (ICA). Also working with the Marine Midland Bank in New York, they created a program called “Master Charge: The Interbank Card”. The program continued to grow over the next few years by joining with First National City Bank and merging with their “Everything Card”. It also partnered with Eurocard and expanded into the European market. 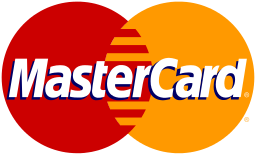 In 1979 the program was renamed Mastercard and continued to move into new territories and either merge with or take over many other similar, smaller programs. Like many online industries, online casinos were quick to adopt Mastercard and other major credit cards as accepted banking methods. It gave customers a safe and secure method of moving money to and from their online casino accounts. Especially in the early days of online gambling, before there was so much regulation and oversight, using Mastercard made customers feel way more secure than dealing only with unproven online casino brands. In 2006 Mastercard made its initial public offering, selling 61.5 million shares at $39 USD each. It now trades on the New York Stock Exchange under the symbol MA and had a market cap of over $100 billion as of 2017.